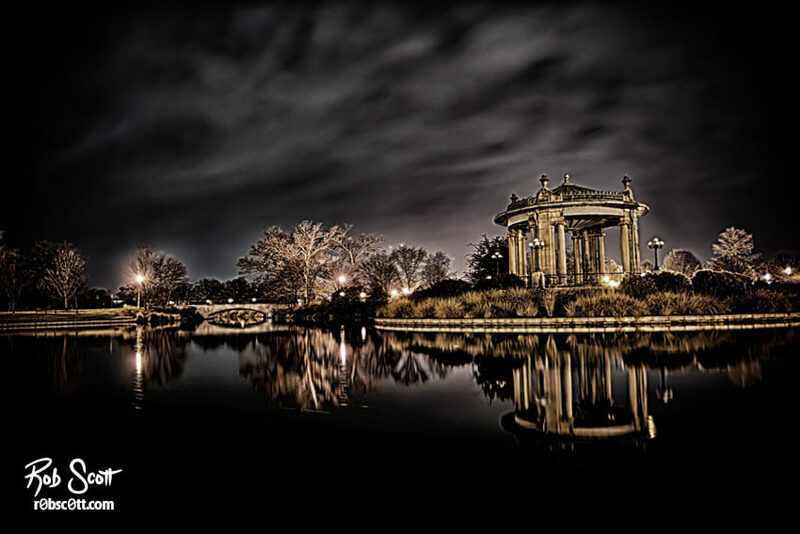 Located in St. Louis’ Forest Park, the Nathan Frank Memorial Bandstand has been standing for almost 100 years. It was donated by Nathan Frank in 1924 to replace the parks original bandstand which had been damaged beyond repair. The bandstand was designed by Heffensteller, Hirsh and Watson and features a Renaissance design using white marble and bronze railings and ornaments.